This article is about the year 943. Wikimedia Commons has media related to 943 . Year 943 ( CMXLIII ) was a common year starting on Sunday (link will display the full calendar) of the Julian calendar. Spring – Allied with the Russians, a Hungarian army raids Moesia and Thrace. Emperor Romanos I buys peace, and accepts to pay a yearly tribute (protection money) to the Hungarians. His frontiers now 'protected' on the Balkan Peninsula, Romanos sends a Byzantine expeditionary force (80,000 men) led by general John Kourkouas (his commander-in-chief) to invade northern Mesopotamia (modern Iraq). Moesia was an ancient region and later Roman province situated in the Balkans south of the Danube River. It included most of the territory of modern-day Central Serbia, Kosovo and the northern parts of the modern North Macedonia, Northern Bulgaria and Romanian Dobrudja. The Theme of Thrace was a province of the Byzantine Empire located in the south-eastern Balkans, comprising varying parts of the eponymous geographic region during its history. 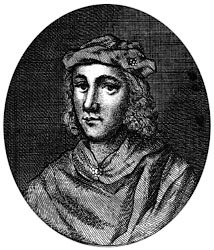 Constantine, son of Áed was an early King of Scotland, known then by the Gaelic name Alba. The Kingdom of Alba, a name which first appears in Constantine's lifetime, was situated in modern-day Scotland. The core of the kingdom was formed by the lands around the River Tay. Its southern limit was the River Forth, northwards it extended towards the Moray Firth and perhaps to Caithness, while its western limits are uncertain. 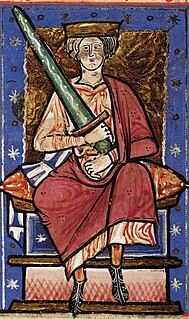 Constantine's grandfather Kenneth I of Scotland was the first of the family recorded as a king, but as king of the Picts. This change of title, from king of the Picts to king of Alba, is part of a broader transformation of Pictland and the origins of the Kingdom of Alba are traced to Constantine's lifetime. Dayang Jingxuan was a Zen Buddhist monk during the early Song Dynasty. During his life, he was apparently the only living teacher representing Caodong/Sōtō school, and he was the last monk of that tradition to be mentioned in the influential Transmission of the Lamp, compiled in 1004. However, as that work was compiled during his lifetime, it lacked biographical information. A biography did not appear until the Xudeng lu of 1101. He left his birth city to become a monk at Chongxiao Temple in Jinling. His teacher there was named Zhitong, but Dayang soon left when he was 19. He studied with Yuanjiao Liaoyi for a time, but eventually moved on, finally settling on Liangshan Yuanguan as his teacher. 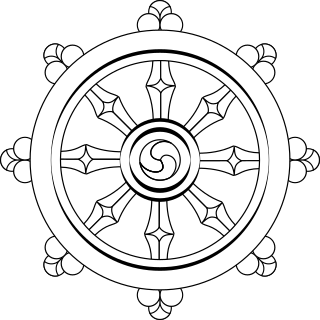 Zen is a school of Mahayana Buddhism that originated in China during the Tang dynasty as the Chan school (Chánzong) of Chinese Buddhism and later developed into various schools. Chán Buddhism was also influenced by Taoist philosophy, especially Neo-Daoist thought. From China, Chán spread south to Vietnam and became Vietnamese Thiền, northeast to Korea to become Seon Buddhism, and east to Japan, becoming Japanese Zen. Year 1027 (MXXVII) was a common year starting on Sunday of the Julian calendar. David I was a Georgian prince of the Bagratid dynasty of Tao-Klarjeti who ruled, with the title of mampali, in Adjara and Nigali from 889 and in Klarjeti from 900 until his abdication in 943. The 910s decade ran from January 1, 910, to December 31, 919. Year 948 (CMXLVIII) was a leap year starting on Saturday of the Julian calendar. Year 950 (CML) was a common year starting on Tuesday of the Julian calendar. Year 988 (CMLXXXVIII) was a leap year starting on Sunday of the Julian calendar. Year 978 (CMLXXVIII) was a common year starting on Tuesday of the Julian calendar. Year 924 (CMXXIV) was a leap year starting on Thursday of the Julian calendar. Year 905 (CMV) was a common year starting on Tuesday of the Julian calendar. Year 938 (CMXXXVIII) was a common year starting on Monday of the Julian calendar. Year 940 (CMXL) was a leap year starting on Wednesday of the Julian calendar. Year 944 (CMXLIV) was a leap year starting on Monday of the Julian calendar. ↑ Brian Todd Cary (2012). Road to Manzikert – Byanztine and Islamic Warfare (527–1071), p. 81. ISBN 978-184884-215-1. ↑ Charles R. Bowlus. The Battle of Lechfield and his Aftermath, August 955: The End of the Age of Migrations in the Latin West. Ashgate (2006), p. 145. ↑ Woolf, Pictland to Alba, p. 175; Anderson, Early Sources, pp. 444-448; Broun, "Constantine II". ↑ Quoted in Wheeler, W.H. (1896). A history of the fens of South Lincolnshire (2 ed.). Boston: J.M.Newcomb. p. 313.